Winter riding doesn’t have to mean cold, sad feet. These socks boast a 20 centimeter cuff, putting them right up to your calf. The Merino wool blend keeps your entire lower leg warm, as well as wicking moisture away from your skin. The nice thing about Merino wool is that it provides warmth without weight or bulk, meaning you don't need a second pair of shoes just to accommodate your winter riding socks. 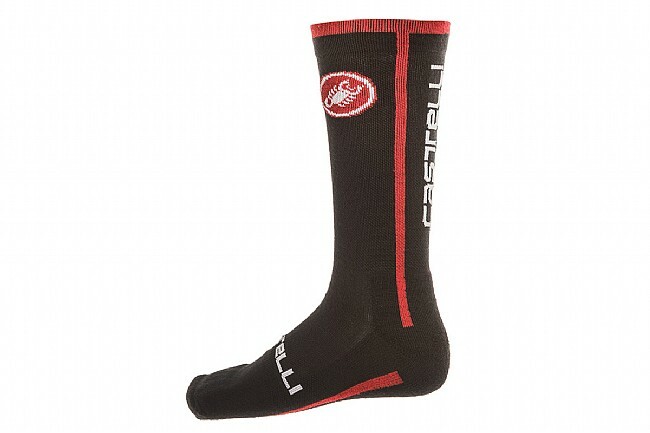 Stomp out those winter riding blues with the Venti socks, available in Black/Red.